Bow Creek Junction is a major waterways place minor waterways place place on the waterways major waterways place village town city at the junction of the Lee and Stort Navigation (Bow Creek) with the River Thames (tidal section). Tail of Bow Locks is on the Lee and Stort Navigation (Bow Creek), 2 miles to the northwest. Limehouse Basin Entrance (Entrance to the Grand Union Canal (Regent&apos;s Canal)) is on the River Thames (tidal section), 4 miles and 4¾ furlongs to the west. Thames Flood Barrier is on the River Thames (tidal section), 1 mile and 4 furlongs to the east. The nearest place in the direction of Tail of Bow Locks is Lower Lee Crossing Bridge; 3 furlongs away. The nearest place in the direction of Limehouse Basin Entrance is East India Dock; 2 furlongs away. Unit 8, Entertainment Avenue, The O2, London, SE10 0DY — 365 yards to the southwest. London — 1487 yards to the northwest. 20 Entertainment Ave, London, SE10 0DY — 362 yards to the southwest. Unit 2, The O2 Arena, London, SE10 0DX — 584 yards to the southwest. Royal Victoria Dock, London — 1237 yards to the east. Millennium Way, Greenwich, SE10 0DX — 366 yards to the southwest. 18 Western Gateway, London, E16 1BL — 1628 yards to the east. Unit 5 Blackwall Trading Estate, London, E14 0JP — 1302 yards to the northwest. 5 Millennium Way, London, SE10 0 — 696 yards to the southwest. London, E16 1EA — 1058 yards to the north. The O2, London, SE10 0UZ — 349 yards to the southwest. Unit 17, The O2, Peninsula Square, London, SE10 0DX — 381 yards to the southwest. O2 arena, London, SE10 0BB — 328 yards to the southwest. Peninsula Square, London, SE10 0DX — 431 yards to the southwest. London, E16 1 — 1360 yards to the east. The O2, London, SE10 0DX — 484 yards to the southwest. On the Village Square, London, SE10 0 — 1316 yards to the south. 1 Siemens Brothers Way, London, E16 1GB — 690 yards to the east. O2, London, S E10 — 509 yards to the southwest. London — 1388 yards to the east. London — 409 yards to the southwest. London — 535 yards to the southwest. Peninsula Square, The O2, London, SE10 0DY — 361 yards to the southwest. Unit 1, Emirates Cable Car Terminal, Edmund Halley Way, London, SE10 0 — 545 yards to the south. Emirates Cable Car Terminal, Emirates Royal Docks, 27 Western Gateway, London, E16 1 — 762 yards to the east. O2 Arena, London — 860 yards to the south. Peninsula Square, London, SE10 0DX — 483 yards to the southwest. O2 Arena, London — 483 yards to the southwest. 856 yards to the west. The O2, Peninsula Square, London, SE10 0DX — 437 yards to the southwest. 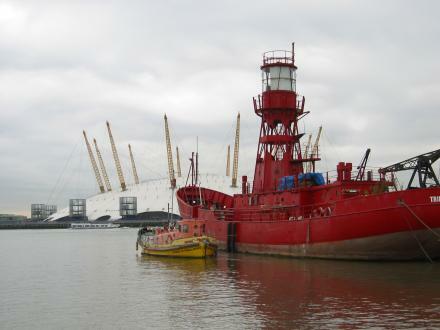 Trinity Buoy Wharf, 64 Orchard Place, London, E14 0JY — 314 yards to the north. London, SE10 0 — 696 yards to the south. London, E16 1 — 572 yards to the east. Waterview Drive, Greenwich Peninsula, London, SE10 0TW — 721 yards to the southwest. London, E14 — 1436 yards to the southwest. York House, 45 Seymour St, London — 887 yards to the west. London — 682 yards to the north. London, E14 0HG — 1399 yards to the west. The O2, North Greenwich, London, SE10 0DY — 504 yards to the southwest. London — 539 yards to the south. The O2, Peninsula Square, London, SE10 0DX — 424 yards to the southwest. One Western Gateway, Royal Victoria Dock, London, E16 1XL — 1570 yards to the east. The O2, London — 479 yards to the southwest. ExCel London, London, E16 1XL — 1386 yards to the east. London — 1206 yards to the south.